When it comes to figuring out what you want to do with your life and/or what career path to follow, most people find themselves enrolling into an accredited institution. Others may sign up with a local community college to save money and get their general education courses out of the way before enrolling into a traditional four year school. And others may have no idea what profession to follow so they take a gap year or two to figure it out. 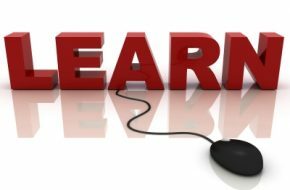 While all of these options work for different people, what people may not know is that there is a substantial amount of easily accessible online courses that are free or at very low cost. While preparing yourself for any career, or more specifically in the intelligence field, one might find it surprising that you are able to learn about different intelligence subsections through a free online course. Resources such as Coursera, edX, and Udacity provide either free or very low cost online courses from an accredited institution to grasp a better understanding of a topic, acquire a new skill, or further enhance on skills already obtained. Coursera, edX, and Udactity offer courses that range from Cyber Security, Artificial Intelligence, Machine Learning, Geospatial Intelligence, Business Intelligence, and many more. Courses on all three platforms vary from beginner, intermediate, and advanced levels. The duration and format varies on the course, as some may require prerequisite. These resources also offer certifications that may be applied to future jobs. By using these resources one is able to learn faster, more efficiently, and from half the cost of a four year institution. Microsoft’s Virtual Academy offers a plethora of course resources, varying from their basic software applications to database development. From the comfort of your own home one is able to complete modules on a particular topic to grasp a better understanding of the material. For example, Microsoft Virtual Academy offers “Security in the Enterprise,” which provides a better insight, understanding, and the ins and outs on how a cybercriminal works. For this specific course, one will receive practical tips and tricks through different social media platforms. Learn with Google offers a crash course in Machine Learning at a beginner’s level. Someone who is a novice in the field can learn from Google experts on key concepts of Machine Learning and how they are applied to the real world. Learn with Google also offers many different courses such as Google Analytics Academy and Google Developers. The Intelligence Community (IC) is taking a bigger approach with Artificial Intelligence (AI) because it is able to cut down on the time and work that an analyst have to review, which they are then able to switch their focus on reviewing information that may cause national damage. edX offers a course through Columbia University called “Artificial Intelligence” that at an advanced level you will better understand how AI works and how it is applied through various scenarios. Whether you are looking to learn something new, take on a new profession, or enhance skills that you may already have, there are many online resources that you are able to take advantage of.